The Influenza A H1N1 virus that caused the Influenza Pandemic during 2009-10 continues to circulate in the community causing sporadic outbreaks in various parts of the country. 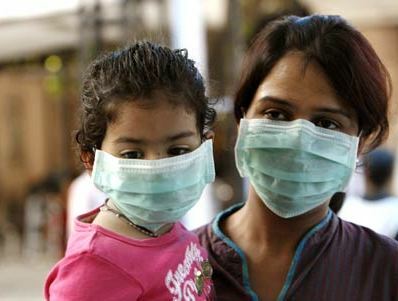 In 2015, the impact of the outbreak of Seasonal Influenza A H1N1 has been largely in Andhra Pradesh, Chhattisgarh, Delhi, Gujarat, Haryana, Karnataka, Kerala, Madhya Pradesh, Maharashtra, Punjab, Rajasthan, Telangana and Uttar Pradesh. Delhi has reported 4288 cases of Influenza A H1N1 and 12 related deaths in the year 2015 till 22nd November, which is higher than the figures for year 2014. While declaring the Influenza Pandemic to be over in 2010, World Health Organization informed that the Pandemic Influenza virus would continue to circulate as Seasonal Influenza virus causing sporadic cases and outbreaks of various intensities. Health is a state subject. However, for containment of the impact of this seasonal influenza, States have been provided guidelines on screening, risk categorization of patients, clinical case management and ventilator management. These guidelines have been also uploaded on the website of the Health Ministry. Advisories from the Ministry of Health and Family Welfare (MOHFW) at various levels regarding preparedness measures have been issued to States/UTs from time to time. The States are procuring drug Oseltamivir, N-95 masks and Personal Protective Equipment as per requirement. An emergency stock of Oseltamivir drug, N-95 masks and Personal Protective Equipment is also being maintained by the MOHFW to meet any sudden requirement. To guide and assist the State Governments, teams from MOHFW have been sent this year to Telangana, Rajasthan, Kerala, Jammu and Kashmir, Gujarat, Maharashtra and Madhya Pradesh. The MOHFW is in regular touch with affected State Governments/UTs to ascertain and resolve difficulties, if any. The laboratory network of Integrated Disease Surveillance Programme and Indian Council of Medical Research across different parts of India is providing free testing facilities for Influenza A H1N1. To raise the awareness about Influenza among general public, IEC campaign is undertaken in national and local newspapers and through Radio and Television. Training for Master Trainers in Ventilatory/ICU management is also provided to doctors from State Governments by the MoHFW. The Health Minister, Shri J P Nadda stated this in a written reply in the Rajya Sabha here today.